1. TURN ON BLUETOOTH on your phone. On your phone, tap "Setting->Bluetooth"
3. OPEN THE "ITRACK EASY" APP, tap the 'Sign Up' button and follow the prompts to Register, then Log In. - To remove the iTrack device take a small paper-clip and slightly bend the prong outward (photo below). - Thread the paper clip through the hole on the zipper latch. Pull the zipper open. - Make sure to turn on your phone’s Bluetooth (Step 1). - Hold the iTrack device close to your phone (less than 4 inches). - Hold the button on the iTrack device until you hear a beep and the LED starts flashing. - The iTrack Easy App will scan for your device. - Once found a screen will ask you to Add New Item. - Name your device “Joey” and press Done. 6. PLACE the iTrack device back in JoeyPlease ensure the zip is firmly closed using the paper-clip. 7. 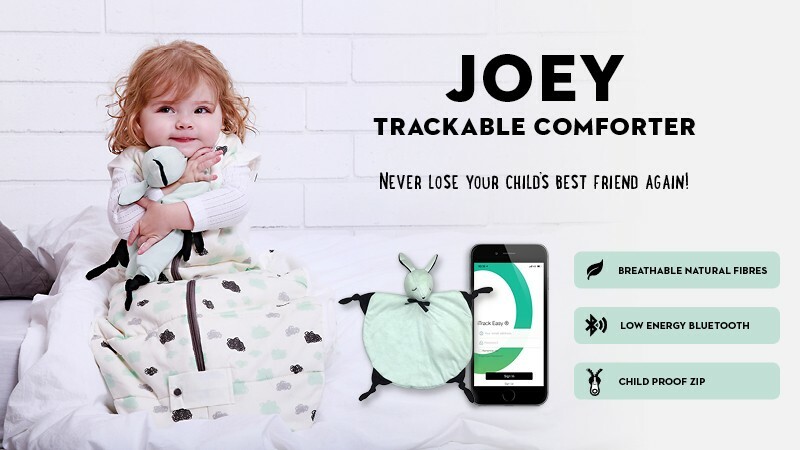 TO FIND BELOVED JOEY via your phoneWhen the iTrack device has been connected to your phone and placed back in Joey securely, open the iTrack App and tap the “Ring” icon on the App, the iTrack device (inside your Joey) will beep to let you know where he is! 8. LOCATION INDICATOR The iTrack app on your phone displays the distance between you and your items - letting you know how far your item is. Or you can use the iTrack Map on the App to locate your lost Joey as the App automatically records the last place your phone saw him! 9. WIFI SAFE AREA When you connect to those selected WiFi networks, distance alerts are disabled in the iTrack Easy app to avoid constant alerts. To enable Safe Wifi Areas go to the Home page on your iTrack Easy App. Click the Settings icon in the bottom right hand corner and follow the prompts. 10. SLEEP MODE You can set the iTrack Easy device to sleep to save battery life and to avoid unwanted alerts! To set Sleep Mode go to the Home page on your iTrack Easy App. Open iTrack from the notch on the side. You can use a flat head screwdriver to pry it open. Replace the old battery and put a new CR2032 battery. Afer putting the cover back, press the button to connect to you phone again. Batteries are to be inserted with the correct polarity. Exhausted batteries are to be removed from the toy. The supply terminals are not to be short-circuited. Do not wash the tracker if dirty, please use soft wet cloth to clean. Keep dry and away from the fire. Keep batteries out of the reach of pets and children. If swallowed, seek medical device immediately. Do not short-circuit batteries. Batteries may overheat or explode. Do not expose batteries to water or fire. Do not attempt to charge non-rechargeable batteries. The batteries may explode. The devices is rated to be splash proof only. Do not immerse the device in water to avoid irreparable damage. The packaging is made of eco-friendly, recyclable material. Please ask your local authorities about appropriate methods of disposal. Defective or empty batteries must be ecycled in accordance with Directive 2006/66/EC. Return batteries and/or the device to the designated collection facility. Batteries contain toxic substances that must be reated separately from domestic waste. The device has been manufactured and thoroughly tested to meet strict quality standards. The warranty covers defects in the material and manufacturing process. 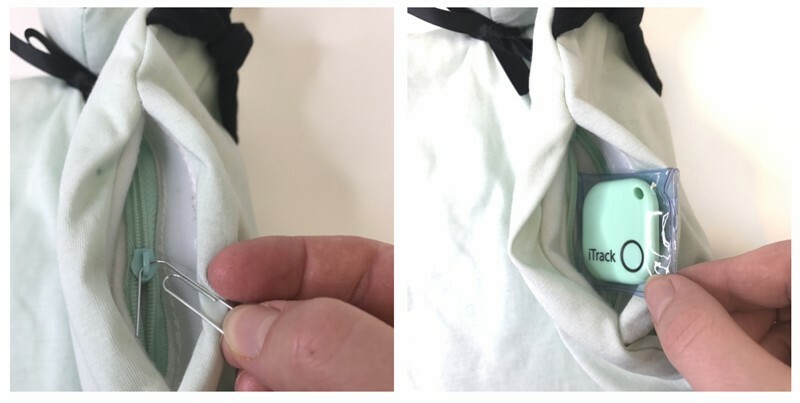 It does not cover product components that are subject to normal ware and tear (ware parts), or damage to fragile components such as switches, batteries or the casing. Consumer-inflicted damage, improper use of incorrect maintenance of the product will void the warranty. Should you experience a fault or manufacturing defect within 1 year of the date of purchase, we will repair or replace the product free of charge. Consumer-inflicted damage, improper use or incorrect maintenance of product will void the warranty.